Few months ago, one of my friends asked me if I can cook for a function in temple. I had to make a large tray of Chole. I said yes, but I had no idea how much chickpeas were needed to make that. I bought 8lb of chickpeas and soaked about 6lb. But I used about 4lbs from it. Remaining, I froze to use later. 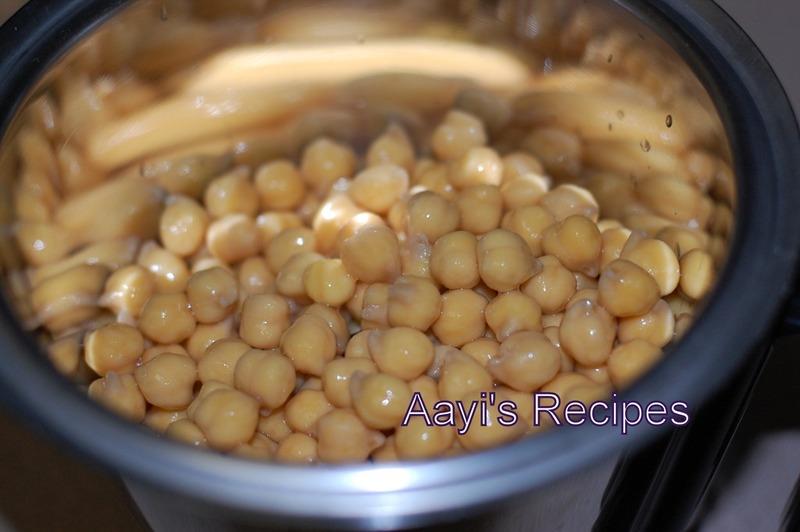 For next two weeks, I prepared few dishes with those frozen chickpeas. I wanted to try Falafel for a very long time now. But I hardly deep fry, so it never happened. Finally I tried it. I did not follow the traditional Falafel recipe, but followed my own recipe. They tasted great. Grind chickpeas without adding water. Add all other ingredients except oil. 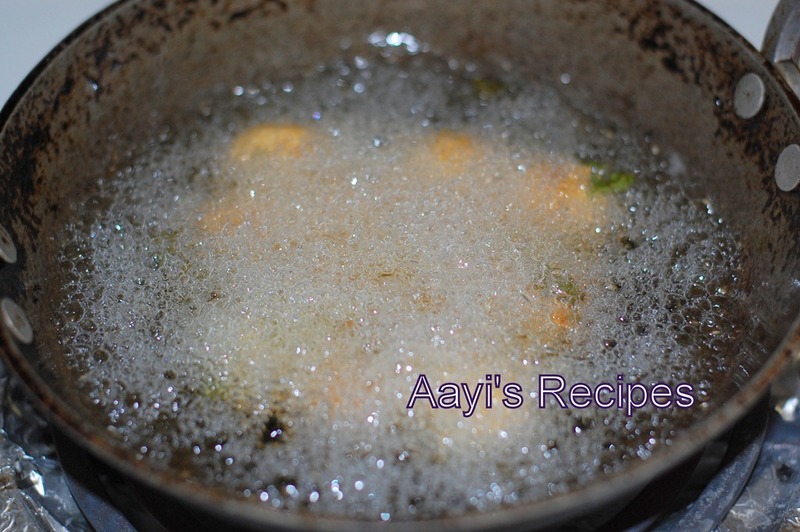 Make small balls from the mixture and deep fry them. Serve hot. They taste great on their own. 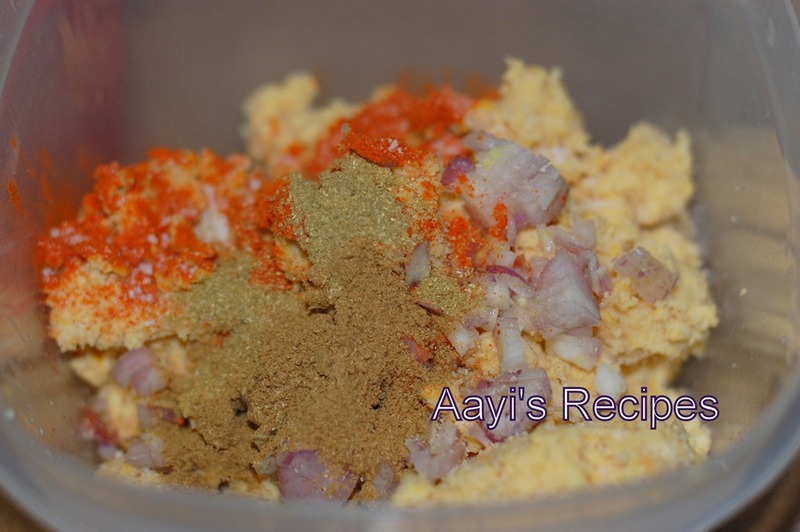 bho grand ani tasty dista.hav a recipe try karta..maka hey site ashi surf kartana mele. 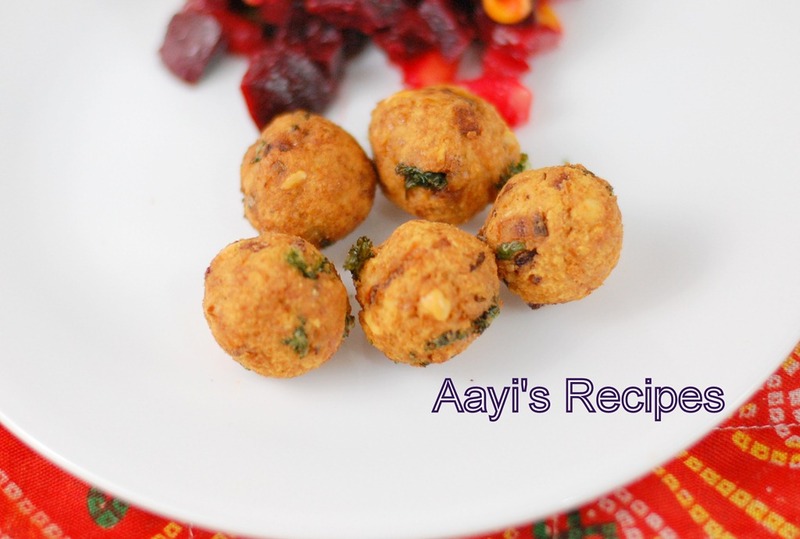 maka cooking mast interest karta ani konkani (amchigale) recipes bho preet .ata maka masta namunyache recipes try karu melthale. bho khushi jali. mm..so tempting..love your version of using chick peas for this recipe..so many variations ..lovely! Oh Shilpa, Thanks for your recipe 🙂 Its looking delicious. Is this your own idea ? Small doubt… chickpeas need not to boil before grinding? please clarify. I can’t wait to go out and try this recipe. Thanks for posting. Looks really delicious. I would like to share small recipe with all of you. “Corn Chat” â€‹We have corn fields near our house and it is joy to watch them grow so tall with delicate golden hair. We buy corn from these fields almost every year and try out new recipes with them. This year my favorite has been “corn chaat” . This chat is healthy and you can make it in a jiffy. You can serve this with corn chips or chips and they make a great starter. Here is how you make it. Falafel is my favorite starter when we go to greek restaurant. It is even better when it’s cooked Indian style. Thanks. Thanks for another wonderful recipe. Made it last week. Everyone loved it. I am new to this website as i am away from my mumbai and staying in alibag for job. i have start cooking my food. this is very good recipe and i will definitely try. I had try chana bhaji at home. let see is not taste like that. Yes you can make them with boiled chickpeas. I just love to make them with unboiled ones, less work. Is it ok to shallow fry or bake them? You can try shallow frying them. But they may not get very crispy.